If you want to boost the AdSense revenue, then you have to try and use all the tools at your disposal to increase the RPM and take your income to new heights. AdSense custom channels are some of the best tools that you can use in this regards. The best thing about these custom channels is that advertisers love them and you can easily adapt them to your needs! 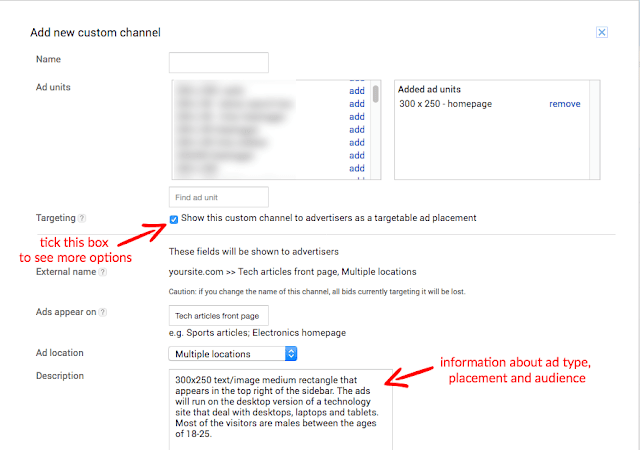 What are AdSense custom channels? When you hear about Google AdSense custom channels, you will most likely be confused in regards to what they are and what they do. But despite the name that can confuse some people, the reason why they were created is that they offer a really good value for AdSense users. 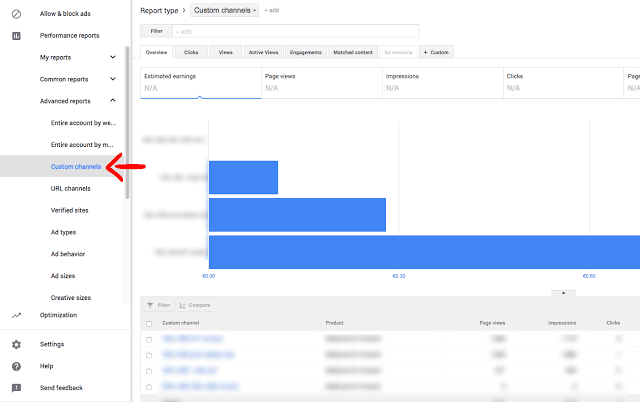 Simply put, these custom channels are designed as a reporting tool, and they enable you to manage your ad inventory without that much of a hassle. You can also use them to turn the ad inventory into a solution that advertisers can target. As a result, you will be able to boost the AdSense revenue in no time. Aside from that, you can also generate a lot of competition for the advertisers. Of course, you do need to have a good amount of traffic to be appealing to the advertisers. But if you use this tool adequately, the overall results can be downright unique. The custom channels are designed to work with a variety of content hubs as well as publishers. But of course, you have to put all your knowledge to the test. In case you want to boost your revenue with custom channels, you will have to figure out which are the best ads you have, and then you add them into custom channels. You can find the Custom Channels in the Advanced Reports section. Here you can filter the type of ads you want to track, and you can also view an overview, active views, engagements, clicks and even custom information. Thanks to the AdSense custom channels, you will get to track things like page performance for that ad, what surrounding content was the best, ad placement results, ad size performance and other relevant info. All these things do add up very well, and they are bound to bring you a unique and distinct set of features. A/B testing is also easy to do with AdSense custom channels. You track the performance of a text ad against another text ad, or you can opt for a more complex ad test. In fact, you can even make image to text ad comparison if you want. The idea here is to use the power of reports to see which type of ad delivers the best performance. Depending on your niche, some types of ads will work better when compared to others. So, the idea is to pick the right one that suits your needs. It's the best approach and one that does pay off immensely in the end. How can you track what blog portion delivers the best revenue? This is a very good question and a tricky one to answer as well. There are many reasons why you may be unable to answer this adequately. However, it all comes down to a single comparison. For example, you have a site about technology and another one about healthy eating. Both of them are blogs, but the healthy eating one delivers a much better RPM when compared to the technology one. Obviously, when you do A/B testing and see this, you will most likely focus on creating more healthy eating content and less tech content. But your task is to figure out what went wrong with the technology blog too. You can use the power of AdSense custom channels to figure out what caused that issue. Studying the performance over time will help you see what is wrong and this way you can adapt the situation to your advantage. AdSense custom channels offer your online assets to the advertisers so that they can be targeted without a problem. Basically, the companies that have a video ad about their phone repair services will want an ad slot on your phone-related pages, not on the homepage or anything else. The idea is to opt for targeting, and that's where AdSense custom channels excel very well. Besides, advertisers have a limited budget, so they do want to get the very best results from you. What type of benefits do you get from this? First, you will see that allowing advertiser targeted ads will bring in more competition for ad location and better performing ads. You will also work with advertisers that are knowledgeable and know what they want. Google said they select the best performing ads for your page, so obviously this will help you as well. Plus, advertisers can do smart pricing and earn more money by getting targeted audiences. Simply put, everyone wins with this type of approach, and that's what manages to deliver the very best outcome. 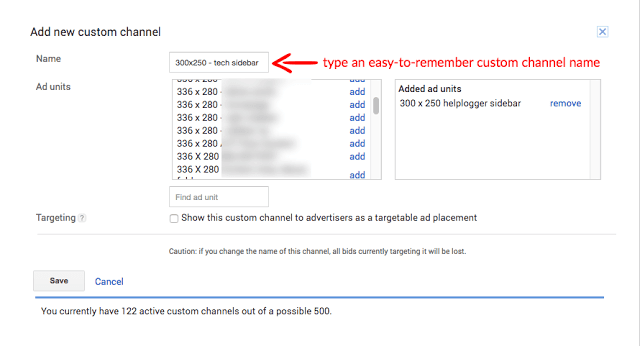 How can you set up AdSense custom channels? You need to figure out what you want to measure and share to the advertisers. Basically, you create an ad unit, and you can add that to the AdSense custom channels. You can add multiple ones if you want, that is up to you to make the right pick. Simply put, you go to My Ads in the AdSense console > Content, and then you select Custom channels. Here you will have to press the New Custom Channel Button. Add a name to the custom channel, and then you can select the ad units that you want. It's important to let these ad units targetable; you will have a small option related to targeting under this. You can also remove ad placements if necessary. If you want to see the performance, you just need to go to Performance Reports > Advanced Reports > Custom Channels. How to optimize ad placement channels? There are some methods you can use to achieve this. Edit some of the best performing channels and as we mentioned above, mark them as targetable. This will offer you a list with some interesting features. You will see the fields that are shown to advertisers. You can also pick where ads appear, and if necessary, the ad location can be for multiple places if you want. At this point, you will also need to opt for a description of your website, and you should also tell the advertisers why they should be interested in placing ads on your site. Make sure that you harness all your copywriting power. It's not an easy thing to do, but it may be able to pay off extremely well in the end. A good idea is not to make all your channels targetable. What you want is to target solely the ones that are valid for you, as that's what will make things shine for sure. It's a very important idea to try and focus on the most important channels at first. If this does work very well for you, then you can adapt it to the most important channels as you see fit. It's always important to keep testing, because the more you do that, the better the results will end up being for you in the end. 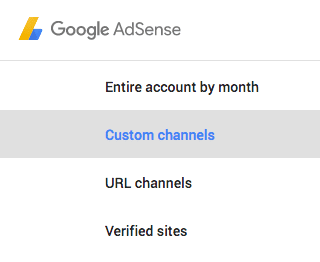 AdSense custom channels are designed to be an analytical tool, so it doesn't matter how many channels you have. If you have around 500, that's great, if not, experiment and try to create as many channels as you can. You shouldn't expect each channel to deliver its best performance. It will take quite a lot of time and effort to adapt everything to suit your needs. But the idea here is that the more you focus on interacting with the audience, the better the results will be for sure. As long as you know how to handle all of this, the experience will be great, and your site will benefit from that. Plus, you shouldn't expect AdSense custom channels to deliver the best possible value right off the bat. These things do tend to take quite a bit of time for them to work adequately. At first, it may be a bit simple, but as time passes you will see that the results get increasingly better. The reason is simple, it will just make things a lot better for you, and the AdSense custom channels performance will increase too. Plus, you get to learn what's wrong and opt for what is meaningful. While it can take some time and effort to set up everything adequately, AdSense custom channels do work very well. So, try to create and adapt AdSense custom channels to your needs, then the AdSense RPM will increase exponentially!